Third-party call control (3PCC) is essential to implementing advanced services in Voice-over-IP (VoIP) networks. It allows intermediary applications to control how the media streams of endpoint devices are connected together. 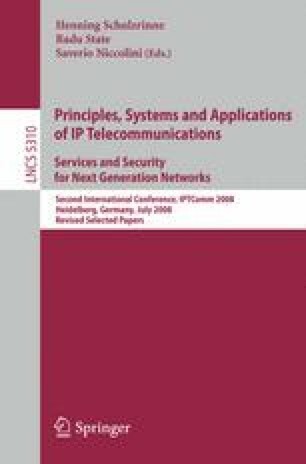 However the Session Initiation Protocol (SIP), the widely adopted open standard for VoIP signaling, presents a number of challenges that make 3PCC in SIP complex and prone to errors. Previously proposed solutions only address operations under ideal conditions and thus are incomplete. Furthermore, the problem of compositional 3PCC by multiple applications has not been addressed. In this paper, we propose a general solution for robust and comprehensive media connectivity control. The solution has been verified, and allows multiple applications operating concurrently in a call path to interoperate successfully.